Every month the Aria Poker Room in Las Vegas plays host to a series of high-stakes tournaments. For February, 2017 the slate of events included two $25,000 buy-in no-limit events and one $50,000 buy-in super high roller. The first event of the weekend got underway on Thursday, Feb. 2. A total of 39 entries were made in the $25,000 Aria High Roller 50, creating a prize pool of $936,000. The top six players made the money, but the lion’s share of that was awarded to Cary Katz and Dan Smith, who struck a deal after reaching heads-up that saw Smith lock up a $295,120 payday and Katz earn $322,640. 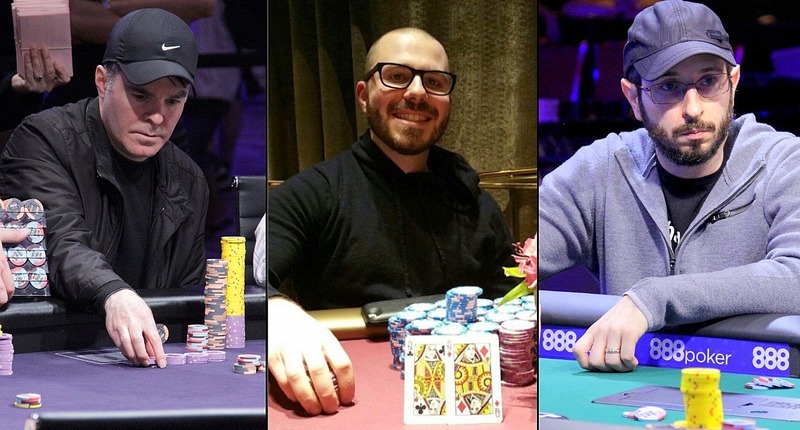 As the winner of the event Katz also scored 420 Card Player Player of the Year points, while Smith earned 350. Both players finished inside the top 20 in the standings, and are surely going to be players to watch in the 2017 POY race, which is sponsored by the Commerce Hotel & Casino. The second $25,00 event, the Aria High Roller 51, attracted 36 entries to create a $864,000 prize pool. Once again the top six finishers made the money, and once again Dan Smith found himself making it down to heads-up play. This time he cut a deal with Scott Seiver. Smtih took home the title and the top prize of $337,608 while Seiver was awarded $337,608. The 420 POY points Smith earned as the winner in this event were enough to see him climb to 33rd place in the overall POY rankings, with 770 total points and $632,728 in year-to-date earnings. The final event of the weekend was the $50,000 buy-in Aria Super High Roller 15. With 35 total entries the tournament built a massive $1,680,000 prize pool. The top five places paid, but the lion’s share of that money was awarded to eventual champion Brian Rast. Rast defeated Justin Bonomo heads-up to secure the title, a $772,800 payday and 510 POY points. Rast has the longest running streak of consecutive years with seven figures or more in live tournament cashes, having achieved that feat six years in a row now. Rast has gotten off to a great start at putting up more than a million in earnings for the seventh straight year by taking down this huge event.